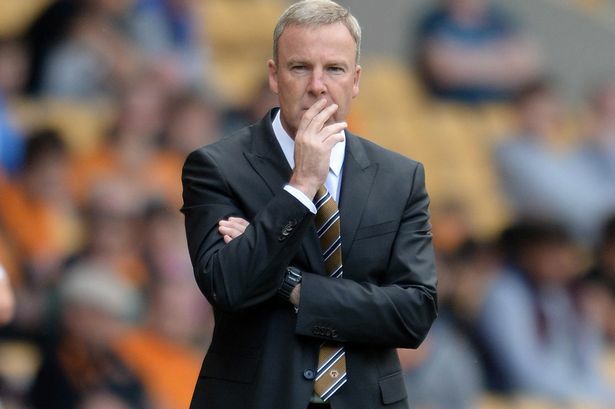 Kenny Jackett has recently talked about the summer spending of Wolverhampton Wanderers. The English manager stated that there is uncertainty in relation to the approaching transfer window which will be opened in a few months and this allows managers to strengthen their respective squads but in his case, it’s unsure if new players will be signed. Kenny Jackett reckons he doesn’t have the potent resources to opt for expressive Football. Jackett has drawn criticism for coming up with slightly boring Football at Wolverhampton Wanderers particularly in the recent times. But, according to him, Championship is not so dissimilar to League One. Wolverhampton Wanderers’ poor form continued after a 2-1 loss against Preston North End during the weekend. Manager Kenny Jackett made some surprising changes to the team like bringing Jack Price back to the first-team reckoning. Bringing back the 23-year-old made that the club had to be without the services of Kevin MacDonald for this crucial match. However, Jackett said that there was nothing wrong in making this call since Price has been a player who has never let him down. This change meant that MacDonald has missed his first game after 24 consecutive appearances. Benik Afobe has been attracting the attention of many clubs from the Championship and some in the Premier League due to his impressive talent. The 22-year-old England national has scored 10 goals in 25 appearances for the Championship team, but many believe that he has the potential to score more in a much better team. Derby County have been seen as the favourites to sign the player. If such an offer comes for the 22-year-old, it will be hard to turn down by the player since it will provide him with a great opportunity to play in the Premier League. Former Premier League referee Howard Webb was regarded as one of the best in the business. This reputation saw him referee some of the biggest matches in world football like the Champions League final and the World Cup final. Now retired, Webb has the opportunity to look at refereeing decisions from outside the world of referees. He has been a pundit for some of the biggest names in the business. David Beckham will once again wear the colours of Manchester United almost 23 years after he signed for the club. The former England captain is regarded as one of the finest players to have represented United. He was a product of the youth academy at Old Trafford. During his time at the club, he won numerous honours including the Champions League. Beckham will be part of the Great Britain XI that will take on former Real Madrid star Zinedine Zidane's Rest of the World XI. The two will be competing as part of the charity match for UNICEF. Aaron McCarey is a 23 year old Irish shot-stopped who has been a player of Wolverhampton Wanderers since 2010 when he first signed his contract with the English club as he joined the youth academy of the team. From there on out McCarey has went on to join other clubs such as: AFC Teiford United, Walsall and York City all on loan deals and this is a regular thing to do as clubs usually loan out some of their younger performers so they can get a chance of appearing in the main stage of a team and start earning experience. Richard Stearman has claimed that he is extremely glad at being the captain for the last couple of games. Wolverhampton Wanderers went on a run of four consecutive victories that helped them dream about a place in the play-off places at the end of the campaign. This time, however, came to an end after the 2-1 defeat against Birmingham City. This defeat could not have come at a much worse time for the club, as there are only a couple of matches left. Wolves will be aware at they cannot draw any more points in the quest for promotion. It does not get any easier for the club next week as they are up against Middlesbrough, who have been one of the best teams in the division. Steve Clarke has admitted that Reading FC was hard done by a penalty call in the game versus Charlton Athletic played yesterday, but, he reckons that the response of the Royals’ players to that situation could have been far better. According to Clarke, his boys seemed to throw the towel in once that penalty incident took place and that was so disappointing. They should just have told themselves that it was one of those things that did not go their way and they needed to move on from that, but, they almost took it as a knockout punch.